While there are many instances when wall-to-wall carpet makes more sense than using carpet tiles, carpet tiles do have several distinct advantages that make them an excellent choice in certain situations. Let’s take a look at some of the pros and cons to this underused flooring option. If you are looking for a flooring option that can be installed and removed easily, carpet tiles are one of the best products on the market. They have built-in padding and pre-applied adhesive that makes the installation as easy as peel and stick. If one or more tiles get damaged, they are easily removed and replaced. This makes them great for pets and children. Carpet tiles come in a huge variety of patterns, colors, and design. These tiles can be mixed and matched and installed in a variety of ways that creates an endless number of possible patterns and styles in your room. 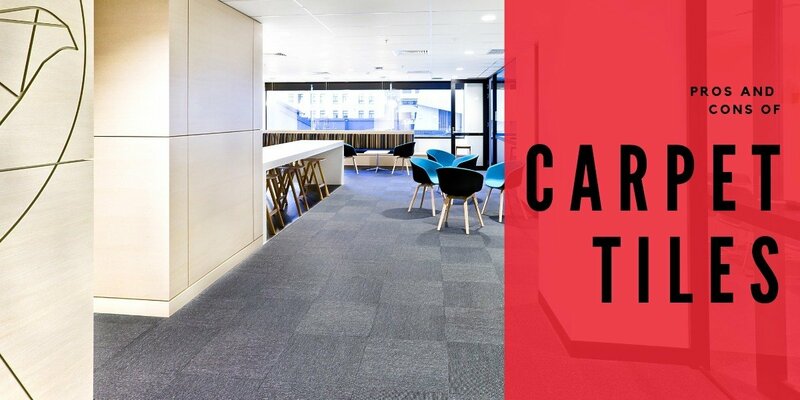 The extremely durable nature and ease of installation make carpet tiles a great option for commercial spaces. They are well suited for high traffic areas, and if one or more do end up getting damaged, they can easily be replaced with new ones. No matter how carefully you install the tiles, there will be seams between the tiles. These seams are going to be more numerous and more visible than on wall-to-wall carpet. Fraying is also possible. There are ways to embrace it, though, including alternating patterns and colors to create a unique design. Higher pile carpet tiles also help to hide the seams. Carpet tiles are a great option in a commercial setting or in rooms where there is a possibility of your floor getting damaged. If you have more questions about carpet tiles or other flooring options, give Carpet Depot a call and let us help pick out the best flooring for your home, lifestyle, and budget.